Chomper isn't Pac-Man. 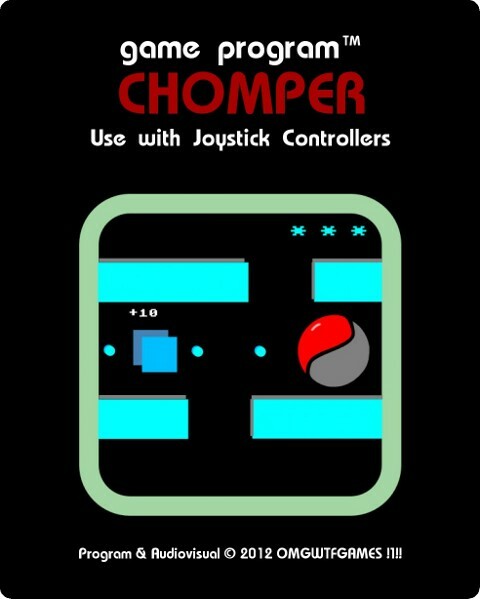 Chomper is a frenetic neo-retro videogame inspired by Jawbreaker (Atari 2600), which in turn was inspired by Pac-Man (パックマン Pakkuman). Test your reflexes and skills in strategic pattern play to clear levels while trying to get a high score. Powerups ! Score multipliers ! Retro arcade sounds ! It's got all that. There are daily, weekly, monthly and all-time leaderboards, so there is a good chance to get your name in the top ten .. at least for a day :) Chomper features awesome chiptunage by Clyde Shaffer (clyde-shaffer on SoundCloud). To promote Chomper and grow its popularity (top games), use the embed code provided on your homepage, blog, forums and elsewhere you desire. Or try our widget.